Fresh air, wide-open landscapes, and the sound of, well, nothing. We’ve all been told how getting outdoors is good for us, but it’s not just our physical health that it benefits. Just five minutes of outdoor activity — even just walking — can help boost mood and self-esteem, and contact with nature has been linked to reductions in stress, depression, and anxiety. Yet these days, it seems we’re more reluctant than ever to switch off. Eighty-four percent of US citizens live in urban areas, the average person spends 24 hours a week online, and rapidly improving WiFi and mobile connections are making it more and more difficult to find places where it even feels possible to unplug from the matrix of modern day life. As a result, we’re missing out on some of the best views, experiences, and remote destinations nature has to offer — not to mention the invaluable opportunity to unwind and mentally recharge. Here are 10 of the best destinations where it’s possible to do just that. 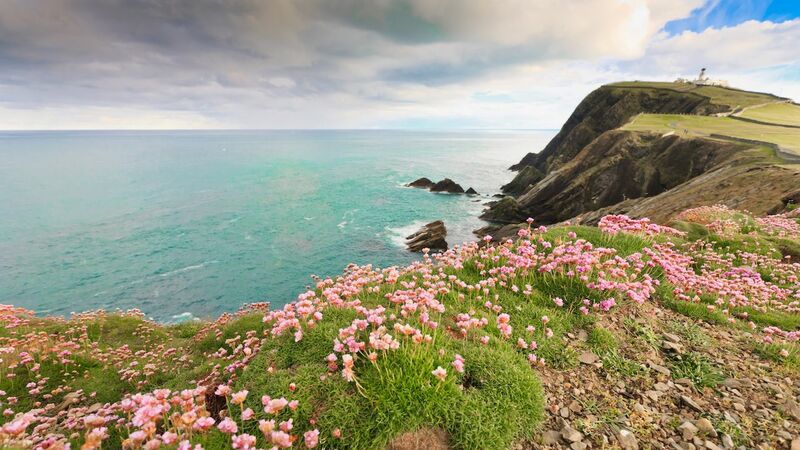 The northernmost point of Scotland, the Shetland Islands include 15 uninhabited islands among the hundreds that make up the subarctic archipelago, making it easy to escape civilization. Here, long walks, bird-watching, and making daisy chains have recently begun being prescribed by doctors to treat chronic illnesses. In a place where it’s still possible to lose yourself among vast moorlands or have a whole beach to yourself, it’s easy to see why. Of course, the islands’ location just 400 miles south of the Arctic Circle means you’ll have to brave the cold if you want to visit outside of the “warmer” summer months — July is the hottest month with an average temperature of 54°F — but a winter visit is well worth the effort. Not only is January when the islands are at their most windswept and rugged, but it’s also when the annual festival of Up Helly Ya takes place, durinw which Vikings taking over the town and ultimately burn a longship to celebrate the islands’ Scandinavian heritage. Straddling Chile and Argentina, Patagonia in South America is as sparsely populated as it is vast. Its distinct geography has put Southern Patagonia on the map as a hiking destination, with Chile’s spectacular Torres del Paine National Park attracting travelers from all over the world. 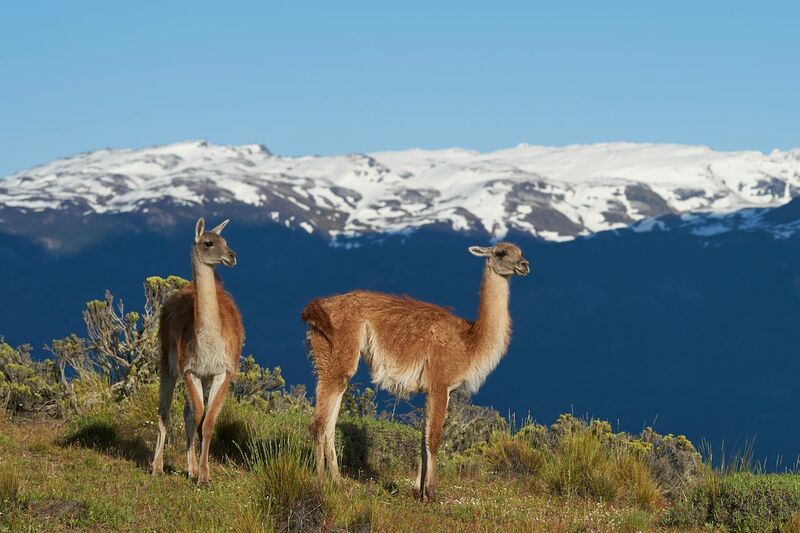 However, while it’s still possible to go “into the wild” in Southern Patagonia, the less frequently visited Northern Patagonia has been a rugged, remote secret for most of its history. In many places here, tourism is non-existent, meaning that it’s still possible to explore areas of natural beauty without having to dodge other travelers’ selfie sticks. Bariloche and the Lake District, in particular, are where you’ll find some of Argentina’s most stunning landscapes, as well as plenty of opportunities for climbing, trekking, and skiing in winter. With only 10 percent of its land actually habitable, Australia has a lot of space, and the Great Australian Bight is no exception. 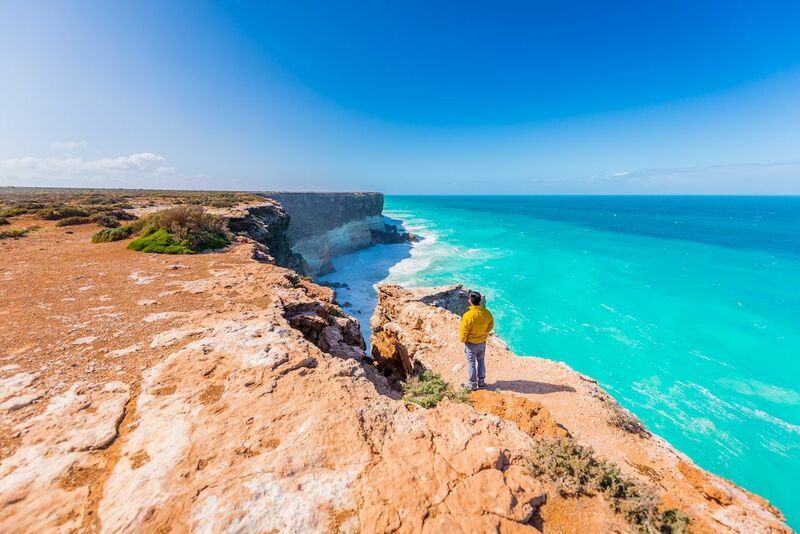 This massive ocean bay is 720 miles long and sits astride the border between South Australia and Western Australia. It also includes the Nullabor Plain, a semi-arid area of nothingness four times the size of Belgium. Not only is the Bight one of the few places on Earth where you’re guaranteed to be truly alone — without even phone signal for the company — but between June and October, it’s also home to one of the planet’s most incredible natural phenomenon. Every year, Southern Right Whales migrate thousands of miles here from Antarctica to mate and calve near the cliffs at the Head of the Bight. A truly humbling sight, it’s a stark reminder of just how small and insignificant the human race is in comparison to nature. But with big oil companies investigating fracking opportunities in the area, its days could be numbered, which is why several organizations have joined together to form Fight for the Bight and campaign for the Great Australian Bight to become a protected marine environment. 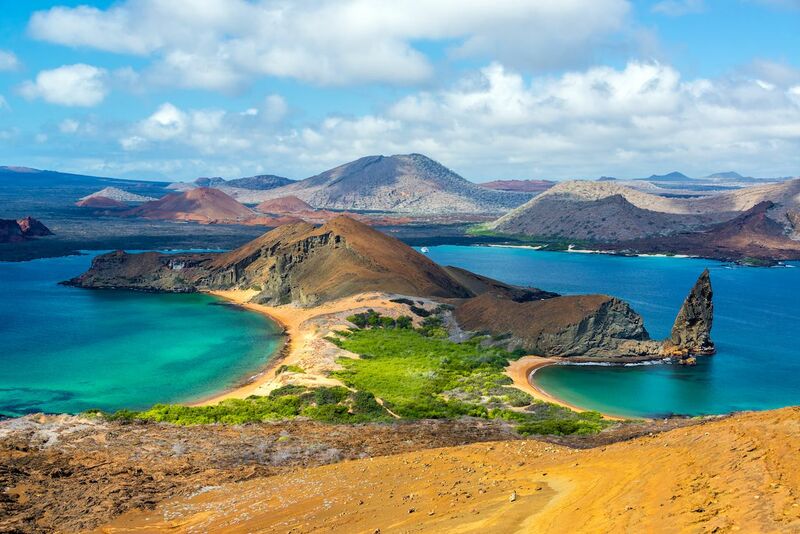 Most famous for their impact on naturalist Charles Darwin, inspiring his Theory of Natural Selection, the Galápagos Islands were formed millions of years ago by a chain of volcanic eruptions. Yet even now, only five of the islands are inhabited by a population of fewer than 30,000 people. Or, put differently, more Galapagos sea-lions live on the islands than humans. But, unlike some of the other destinations on this list, the islands’ sparse population and remote location aren’t their main attractions. Rather, they offer a rare opportunity to be surrounded by weird and wonderful wildlife. Whether you visit one of the islands’ deserted plains or go on a boat trip between their beaches, you’ll find yourself outnumbered by countless species, from giant tortoises to 45 different species of bird, the majority of which are unique to the islands’ ecosystem. 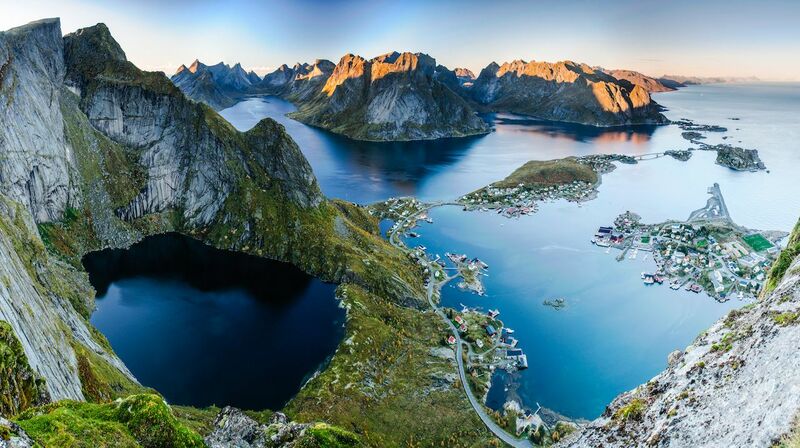 Remote, rugged and ridiculously beautiful, a quick Google of “things to do on the Lofoten Islands” will tell you everything you need to know about life on this archipelago off the northwestern coast of Norway and its reverence for nature. The islands lie within the Arctic Circle. Depending on the season, the main tourist activities are biking, hiking, skiing, sailing, snowshoeing, kayaking, diving, riding, surfing and, of course, fishing — the traditional source of income for locals. All of the above offers ample opportunity to experience the mountainous fjords and craggy coastline alike, but you don’t have to be an adrenaline junkie to reconnect with nature here. In fact, with Northern Norway often revered as one of the best places in the world to see the stunning spectacle of the aurora borealis, in winter, all you need to do is look out of the window at night and, hopefully, you’ll see the northern lights blazing across the sky. Surrounded by high, steep mountains; approached only by narrow roads; and concealing a third of the country’s coastline coiled and curled around its crags and fjords, Iceland’s Westfjords Peninsula is a maze of tumbling waterfalls, golden beaches, and perilously high cliffs. It’s a place where you can truly feel as if you’re walking out towards the edge of the Earth. Just visit Látrabjarg, Europe’s westernmost promontory, and walk out beneath the millions of birds that call it home. Alternatively, if risking a run-in with particularly aggressive puffins isn’t your thing, Westfjords also offers a more comfortable way to get in touch with nature. There are several natural geothermal springs in the area, including the Pollurinn springs just outside the village of Tálknafjörður. These pools can hit temperatures of up to 114°F and are a prime viewing location for sunset over the mountains of the Tálknafjörður fjord. Looking out over the serenity of Lake Kawaguchiko, it’s hard to imagine the bustling city of Tokyo a mere two-hour bus journey away. The sprawling town sits in the shadows of Mount Fuji with a distinct hiking-base-camp feel to it that’s worlds away from the nearby metropolis. Ok, so it’s not a small town, but as well as being far less popular with tourists than nearby Hakone, it’s easy to find areas of unspoiled nature nearby. You just need to know where to look. The easiest way to get away from the town itself is to take the Tenjō Ropeway cable car to the top of Mount Tenjō. This is the starting point for several trails, as well as where you’ll find a viewing point for Mount Fuji, although this can get crowded with tourists. 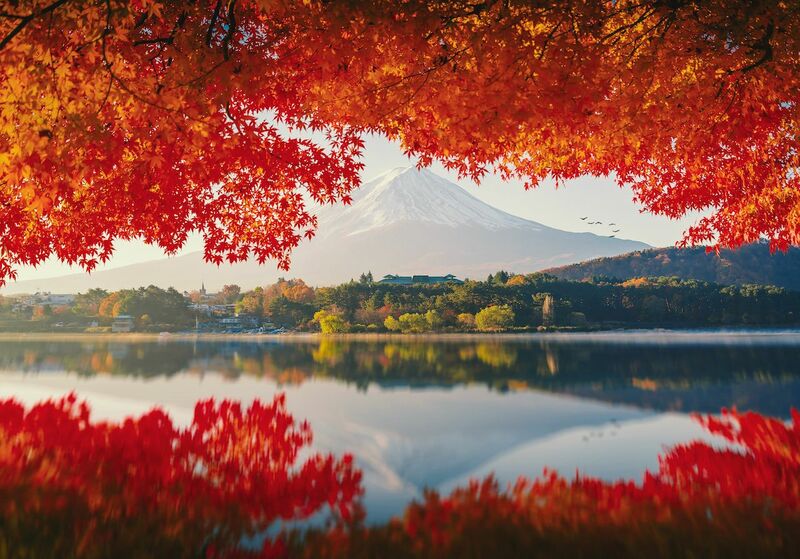 For the best views, take to the trails in the early morning when Mount Fuji is most likely to be visible or get the cable car up at sunset and walk down the mountain trail into the town, enjoying the peace and quiet and soaking up the view of the sunset on the lake. 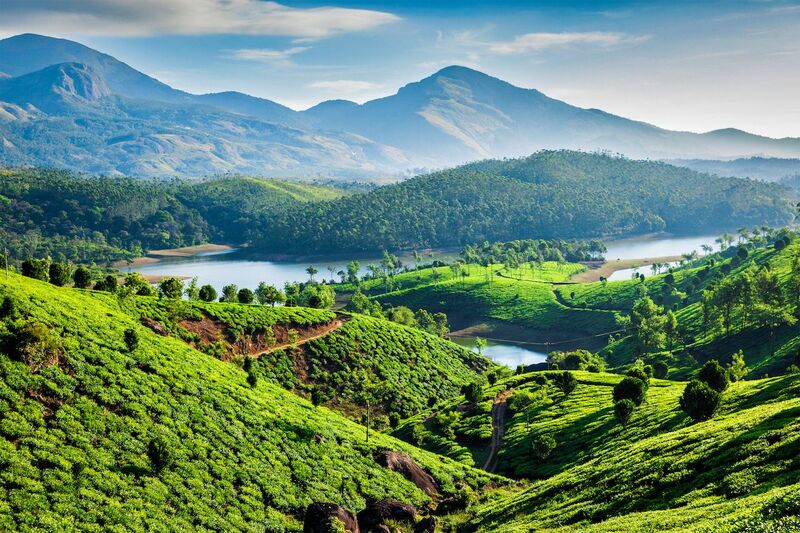 While the image of a houseboat floating dreamily along the backwaters of Kerala is probably familiar to most travelers, it’s surprisingly easy to find calm and tranquility along Northern Kerala’s quieter straights. Away from more popular destinations like Alappuzha and Kochi, boat trips along these quieter backwaters offer views of the world slipping by without hordes of other travelers in the picture — and are a gateway to an unexplored paradise. One specific backwater that is less frequently visited is the Kavvayi Kayal. It’s home to the golden beach of Valiyaparamba, a huge range of different flora and fauna, and a rich history stretching as far back as Marco Polo. The backwaters here are fascinating, serene, and a bit too far off the beaten track for many people to bother visiting. Consequently, compared to Southern Kerala’s more popular backwaters, they remain less-commercialized and cheaper to explore. Accessible only during summer, when the MV Tustumena ferry makes just eight trips to the archipelago, the Aleutian Islands are remote even for Alaska, the least densely populated state in the US. 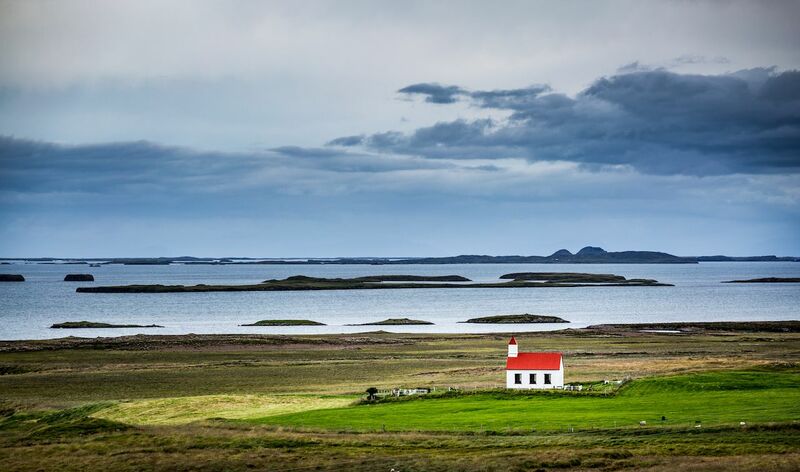 If you manage to make it here, you’ll be greeted by the sight of towering submarine volcanoes rising out of the ocean, vast stretches of green tundra, and a coastline as treacherous as it is beautiful. However, the sight of your destination isn’t all that makes this journey worthwhile. 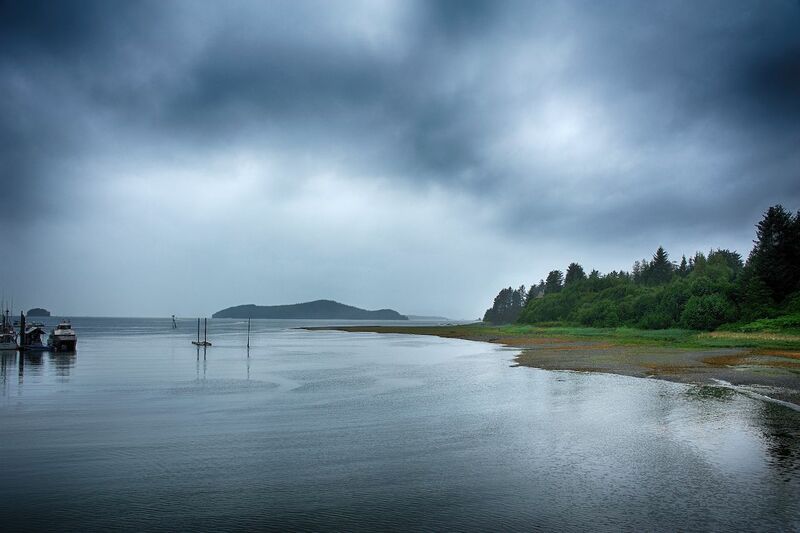 Venturing through some of the most remote spots on the planet, the ferry stops in Kodiak, where the Barometer Mountain trail leads to a jaw-dropping view over the ocean and the hardy port of Cold Bay, where a population of just over a 100 people maintain their community spirit with traditions like the annual Silver Salmon Derby before it reaches its final destination of Dutch Harbor. 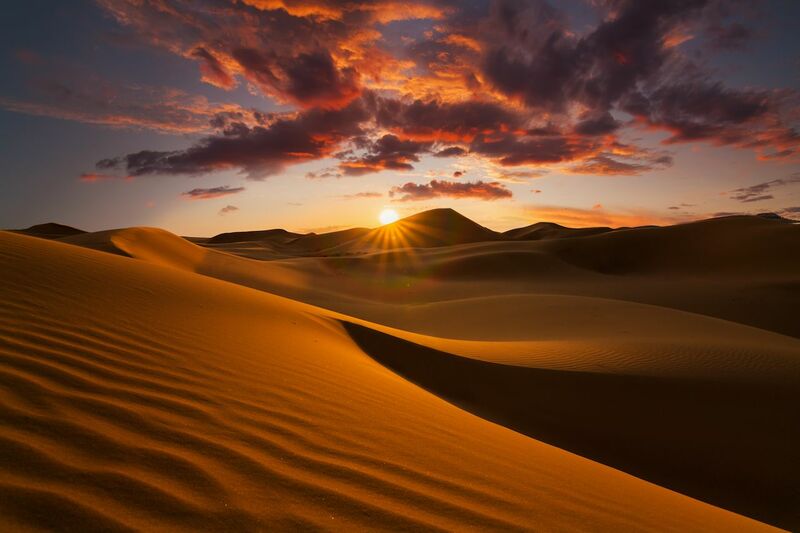 The Sahara Desert might sound like the last place to visit if you want to reconnect with nature, conjuring up images of rolling sand dunes where little grows and even less survives. It’s a misconception. Rather, the remoteness of the Sahara is where you can have some of the most extraordinary natural experiences on Earth — whether that’s looking up at unimaginably clear, starry skies from Merzouga on the outskirts of the Erg Chebbi desert or visiting the oasis of Figuig, where date palms rise out of the desert and loom over the town’s residents. Yet in this part of the world, where water is in short supply, to say the least, it’s the people who live here who are actually more remarkable than their surroundings. They build their lives around nature rather than the other way around. With a way of life dating as far back as the original Berbers, the desert’s few inhabitants live their lives according to the whims and changeability of nature. So, if you want to really reconnect with nature, take note.